If you run an online business or blog, it success highly relies on you giving it your all! Like you, I also have a long to-do list that goes on for life. But tackling this efficiently and on time is the best strategy your business can have. That’s we wanted to share a few productivity tips for Entrepreneurs to help you succeed. You have to be extremely productive when it comes to running a business. If you do not stay on top of your workload, you can easily fall behind, lose clients and partnerships. By creating a work schedule that you are able to manage daily and on time is essential to a successful online business. One failed task and everything could come rambling down. It’s so tempting to procrastinate and put off tasks at hand. Doing this will only add to your hectic schedule. By following our productivity tips for entrepreneurs should hopefully help you get more focused. But before we get started on amazing productivity tips for entrepreneurs, we would love for you to join our growing Facebook group right here! With a few time management tips, you should be able to be more productive in no time. 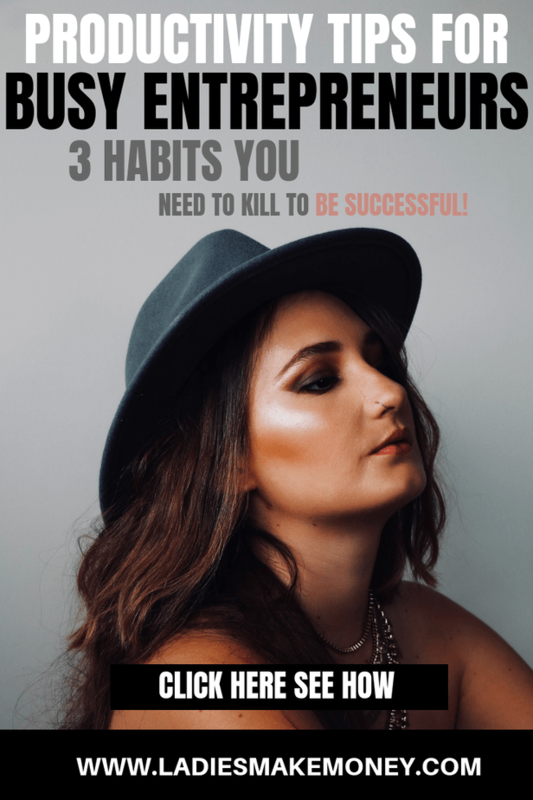 Below, we’re going to look at some of the most common sources of productivity problems that entrepreneurs like myself face daily, as well as what you can do overcome them. We are all busy trying to be successful entrepreneurs. Most of us really need to learn a few time management skills. Ever get caught up spending too much time in Facebook groups? How about on Instagram (Guilty over here)! Wasted time can have a negative impact on your overall business whether its a part-time online side gig or a Full-time Blogging gig! But with the help of these productivity tips for Entrepreneurs, you should be able to get by and use your time more effectively. 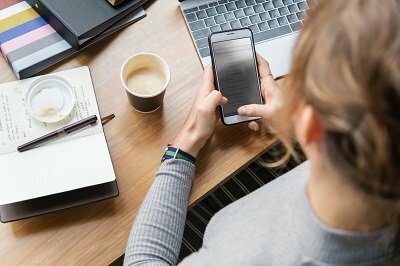 Most of you may be running all aspects of your business which may include admin duties like checking and answering emails, taking calls, keeping up with your accounting and other things that can make an impact on your bottom line. 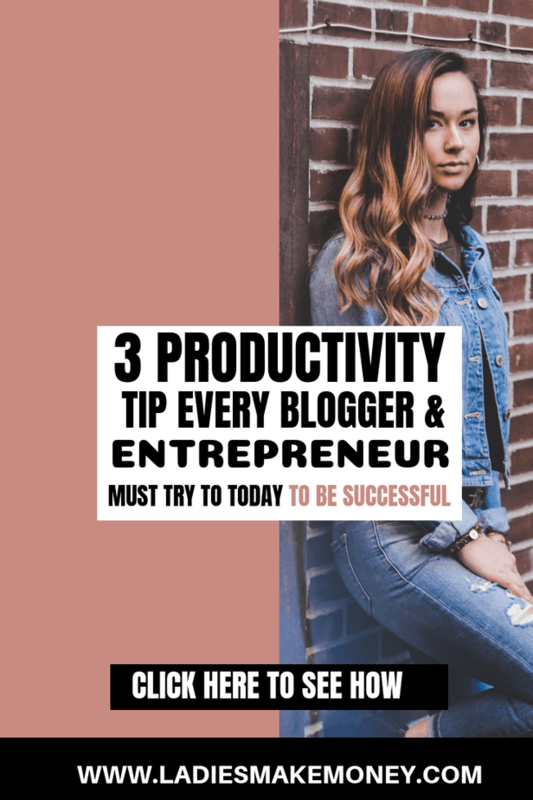 If you are a busy blogger or entrepreneur buried in mountains of work, use these amazing productivity tips for entrepreneurs to fix your issue. You want to work smart not hard. They are a few tools available that can help you automate your life. I use Tailwind for Pinterest and the new Instagram tailwind tool to automate my Instagram posts! For the admin purposes that needs more attention and perhaps a human touch, you might want to consider hiring a virtual assistant. They can ensure that the face of the business is kept well-maintained while you work on things that truly matter! Productivity tips for Entrepreneurs – Our devices! We can live without them but they are crucial to running a successful blog or online business! The majority of us work on digital devices nowadays, whether that’s a desktop, laptop, tablet, phones or something completely different. As much as our devices can be important to our work, it can also be one of our biggest weaknesses we have. Do you have email or social media installed on your phone? Try to silence the notifications or take them down completely. Use your social media when you are at the desk. Block 20 minutes at a time and dedicate that to doing email or social media. Be sure to stick to these timing otherwise the next time you will look up, all your time will be gone. Vanished! And as an added productivity tips for entrepreneurs that I would like to expand on, be sure to get off the electronics from time to time to really focus on what is at hand! Your mental health, physical health, and family depend on this. Use your time management skills to make time for things. I personally use a Bullet Journal to keep organized. 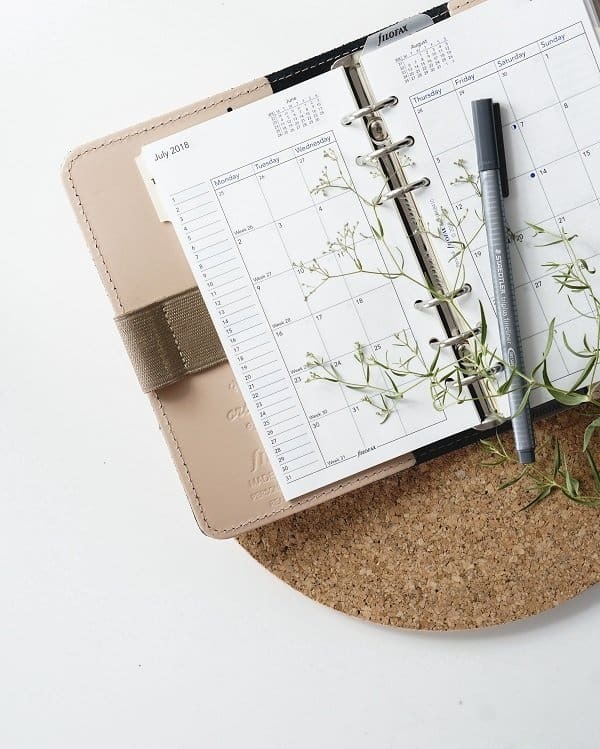 Here are a few Bullet Journal Ideas that you can try today! Are you organized? Don’t know what to do first? The more organized you are the more things you will be able to tackle in a day. Running a successful blog or business requires a lot of dedication and attention to detail. We wrote a whole article about the steps required and everything you need to know about starting a business from home. If you have a long to-do list and not sure how to prioritize, ensure you put the items that will grow your business, make you the most money ahead of anything else. For example, an email list is where I make money with, so I set up an automated way to keep building my list. This was my priority. Tools like Todoist can help you better manage your time and tasks. You can prioritize different tasks based on both their urgency and their importance. Just take the time to prioritize your tasks and schedule your work, giving yourself milestones of how long it will take you to complete each task. Email seems to take up a lot of small businesses time and effort. Take 30 minutes a day to go through it, delete any junk and only respond to urgent emails. Productivity is your key to success. Without creating a strategy to get you through the day you will never truly succeed. You will find a lot of productivity tips for Entrepreneurs on the internet, take the time to create a system for yourself. You can also use a blog planner to get organized! Do you suffer from productivity issues? Did you find these Productivity tips for Entrepreneurs helpful? If you have any productivity tips for entrepreneurs that you would like to share, please comment below. Next Article Next post: How to Get Real Instagram Followers in NO TIME (Try This Today)! Great post! I tend to have a bad habit of watching tv while I work. It can be a terrible distraction, but I just love background noise. Yes, my phone time spent browsing apps is what kills me!! I need to set a timer or something… Great tips!! You’re right about the cell phone and emails are a distraction and a drain on my time and energy if I check them constantly, which is why I do a modified Pomodoro method and schedule chunks of time to work followed by a 5 minute break to use the bathroom, scan a few emails, and make a tea before heading back into another 30 minutes of undistracted work. Thanks for sharing some useful tips and tools. Working from home has definitely hurt my productivity! I’ve been working on making sure that I set an actual schedule to work regular hours, which has really helped me out! I love your tip about trying to do too much! My mom always tells me not to spread myself too thin, and it is something I really strive not to do. Love this blog post and your blog! You have an amazing blog and so much good and helpful information!